Thank you for visiting Trusted Home Inspections of North Central Florida! If you’re in need of a professional home inspector whose results you can trust, you’ve come to the right place. Our company was established by owner John Schwartz, who spent over 35 years in the construction industry before becoming a home inspector. We bring a wealth of knowledge of building practices and electrical and plumbing systems to each home inspection. There’s no one better qualified to inspect your home than a former builder with extensive experience in residential construction. Dependable: We are reliable and forthright with our findings. You can depend on us to show up on time and provide your inspection results in a timely manner. Thorough: Our meticulous attention to accuracy and detail ensures you’ll receive a thorough analysis of your property. Trustworthy: We take our job of inspecting your home seriously and will always tell you the truth. We’ll give you the confidence you need to make an informed decision. Friendly: We understand buying a home can be a stressful time and we’re here to help you through the process. 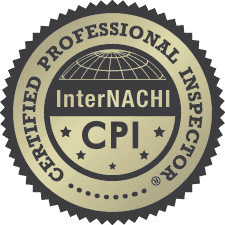 We are proud to be an InterNACHI Certified Professional Inspector(CPI)®. To become a CPI, an inspector must successfully complete extensive training which includes Codes of Ethics and Residential Standards of Practice courses. See more of our InterNACHI certifications here. You can trust us to strictly follow InterNACHI’s policies and provide you with the best inspection in North Central Florida! Schedule your next home inspection today or login to view your inspection report!